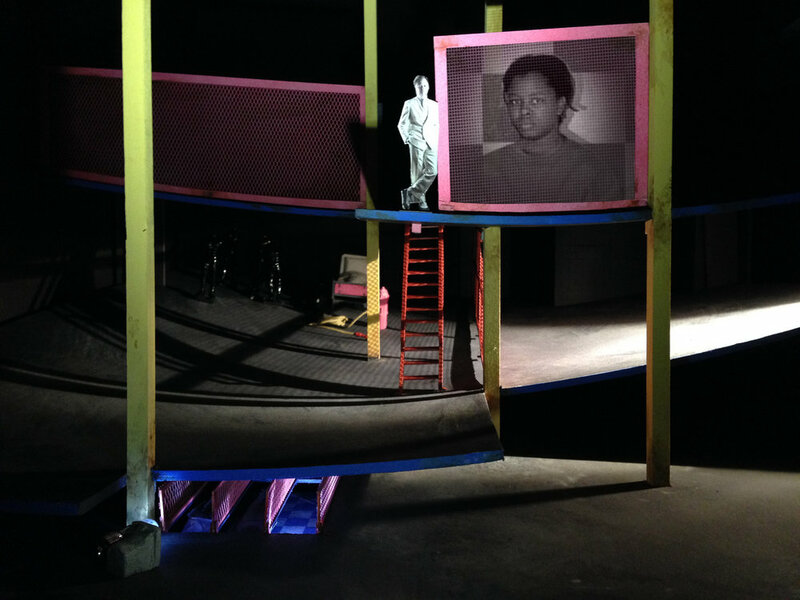 This complex and poetic play investigates what it means to be an African-American, and the way language is used to impose hierarchies and power structures that define identity. Across four surreal vignettes spanning different spaces, times, and power dynamics, five individuals struggle to find the words to describe their experience. The question of who is entitled to space in the world reverberated deeply for me, and I found striking rhymes between the forms of confinement African-Americans have endured through history, from slave ship to housing project to prison cell. 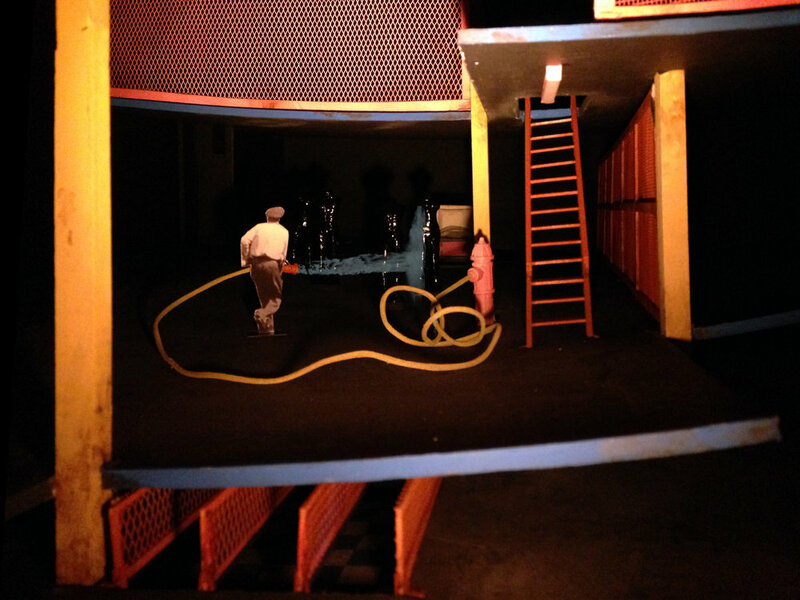 To craft this play's world, I drew upon these congruencies and took inspiration from the work of Luis Barragan and a wildly-colored and -corroded prison I visited in Avignon, France. Designed for the Berliner Ensemble's theater space in Berlin, Germany.